When reading in How to Write a Poem, one of the chapters talks about how to read your poetry out loud to a group. I have to admit, I hadn’t really thought about this too much. It makes sense though, to pay attention to the poem that you are reading, so you can give the words all the weight, and the lines the feel that the author intends. When you read your poetry, or poems written by others, these are some of the things to pay attention to. Weeping, wailing (pause) mourning arise (short pause) For after mourning (pause) the dawn will come. (longer pause). You need to give the appropriate breaks as the lines and punctuation call for. Don’t over do it with watching the line breaks, or give the wrong sort of weight to the punctuation. Slow down in reading. 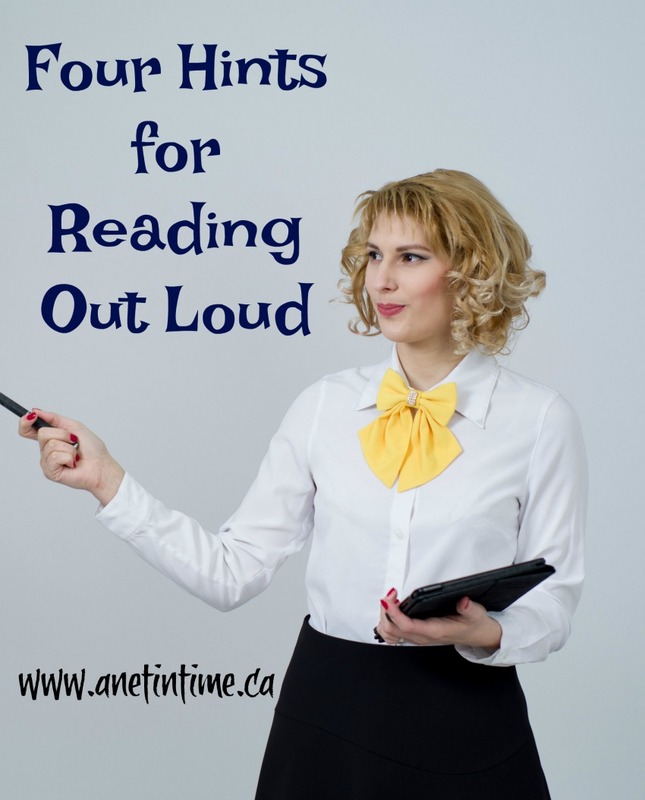 Take the time to savour the words and remember, you aren’t reading a report, you are reading a poem. Words that are meant to say more than just the words written. Let those words live, express them well verbally and don’t be afraid to use your body as well. Let your poetry come alive for what you are communicating is emotion and the story. You will find as you read over a poem in preparation for reading it aloud that certain sections will resonate with you more than others. Emphasize those sections, let the truth, or the emotion, of those sections ring out to your listeners. Slow down, modulate the tone, volume and pitch of your voice, and let your connection with the words show. This connection will show the importance of these words and draw your listeners in. Remember this, you are a human, reading to other humans. You aren’t reading to a wall or to a robot where how you present yourself doesn’t matter. Practice before you set out…memorizing bits of it of if you can, remember to look at your audience not worrying if it takes a moment to regain your spot, read with confidence and good posture and enjoy what you are doing. Sharing good poetry with others. Even though I used poetry as an example, each of these four points is worth remembering if you are reading any story outloud. The need to remember how the story is written. This was recently made very real to me in a story I am listening to on audible. 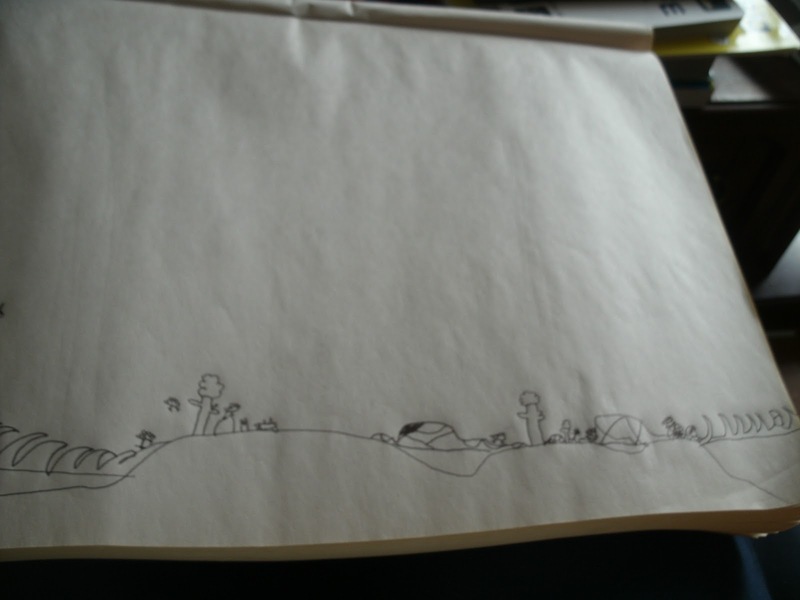 The main character was running away… Bush. Bramble. Thorns. Thicket. Branch. Duck. Weave. These staccato word burst of out the speaker bringing to life the fear she had as she ran heedless into the forest. The reader did an excellent job of bringing the emotion to life. Do you want to improve your ability to read and think about what you are reading? Allow me then to introduce to you a program my son has been using for the past while by MaxScholar. Thiey have a Reading Intervention program to encourage students to learn to read better and understand what they read. 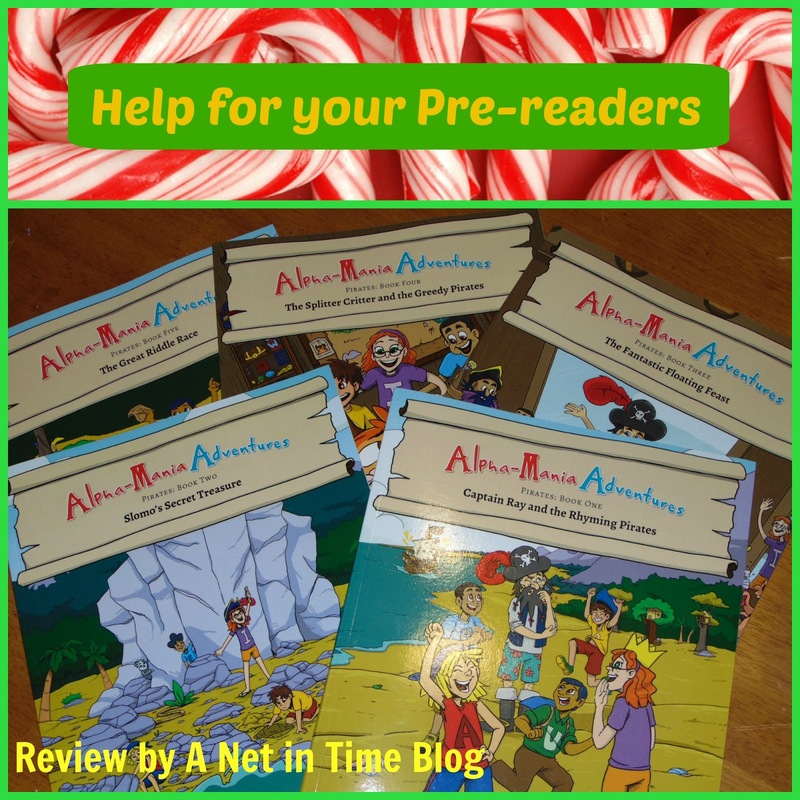 Let me tell you about the Reading Intervention Programs that we reviewed for them. 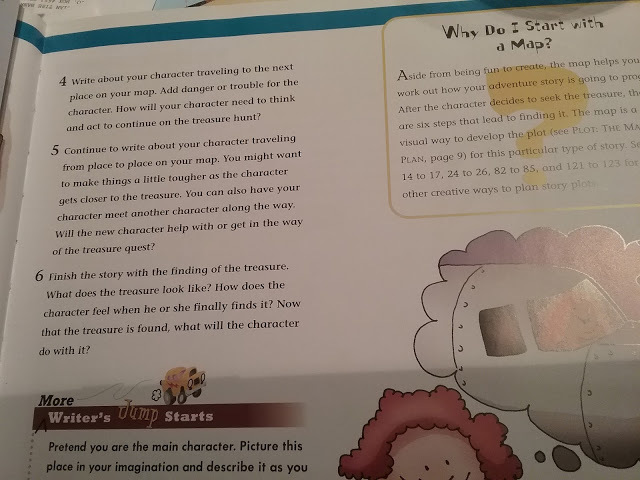 MaxScholar a bundle of programs designed to foster comprehension in reading, as well provide support in phonics. It is a comprehensive and multi-sensory approach (audio-visual is a big part of it). 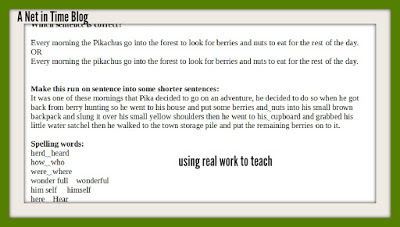 They use research-based methods to help their students improve their skills in reading. Research-based methods include orton-gillingham and lindamood bell. A 12 month, on-line subscription that has three basic parts: MaxPhonics, MaxWords and MaxReading. They also have four subsections. These sections are ways of organizing the other material in an easy to find manner. 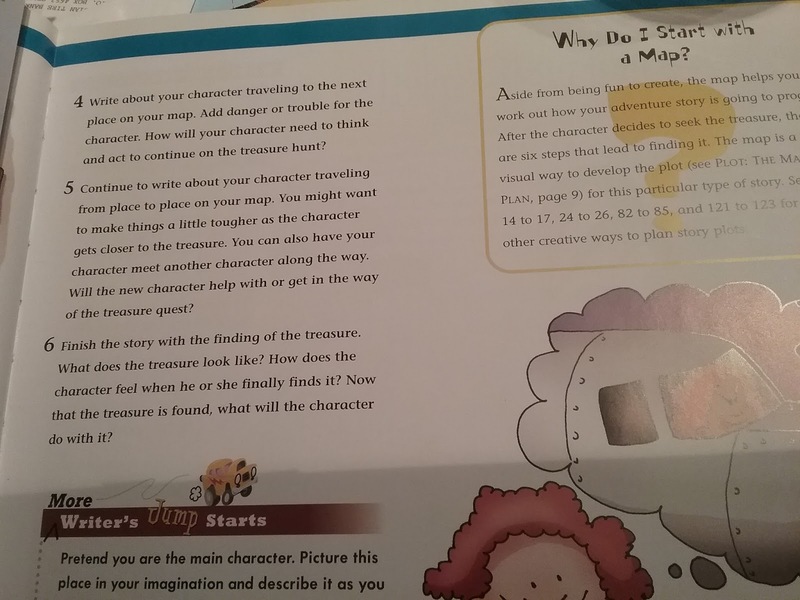 For instance, my lad liked learning about different people in the MaxReading section, so I encouraged him to read more the bios section and he loved it! All these real people to learn about, he thought that was just fantastic. This was his favourite part of the reading program. At the start of the program we worked our way through the various tests. I admittedly didn’t understand the point of them as at the end, it still had my son at the Pre-K level for phonics. So I dropped the phonics portion for him completely. 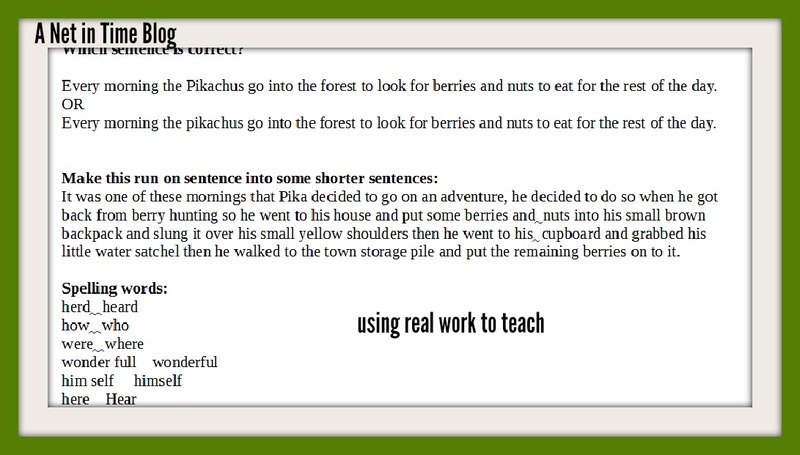 This allowed him to work through the MaxWords and MaxReading. 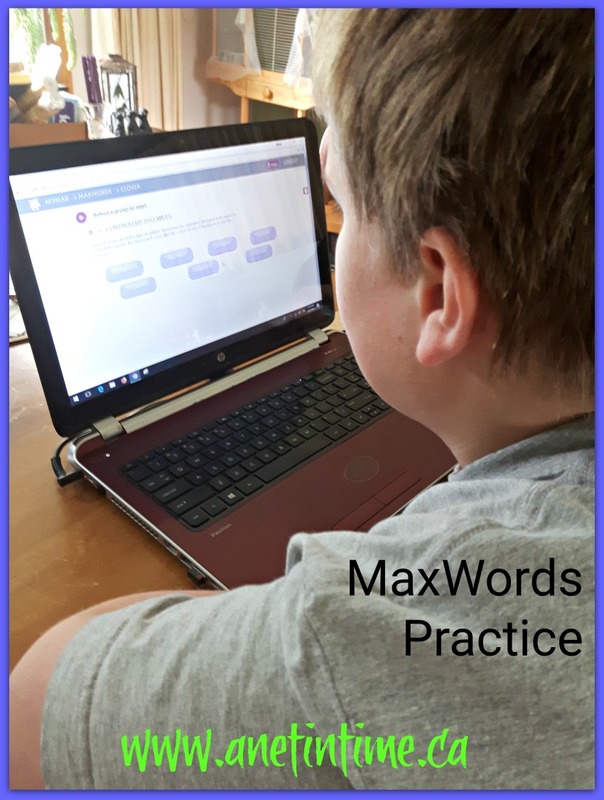 We quickly discovered that he knows more vocabulary and could come up with words on his own, and understood the language rules fairly easy though he has a horrid time remembering them. But during the lessons he had them nailed. He found the wait time in reading a tad too long for his taste so for a few lessons I asked him to find other words that fit that pattern during the minute reading time. Good challenge for him. Therefore our sole focus became MaxReading. After the first couple of stories where I saw my confident son’s confidence plummet due to the marking in the program, I chose to sit down with him to discuss what was going on. We worked through a couple of articles together and I showed him that even I couldn’t get perfect mark. We talked about how programs are set up in different ways and not every program works in a way that makes sense to us. At the end of it I said “as long as you are understanding the passage what mark you get doesn’t matter.” He decided he liked the stories well enough that he wanted to keep reading them so off he went. I listened to a lot of angst from my lad with this program. I strongly disliked watching his confidence plummet, especially it seemed like something missed in the program. It did give us a good talking point about learning to work with the quirks of a program. I understood his frustration as I was able to replicate it trying to do a lesson on my own, finding myself struggling to pull off 50%. In the end my lad learned what parts of the program worked for him, but the struggle remained for him, colouring his perception. The bios section remains a hit and he intends to finish that section off as he’s enjoying it, WOOT WOOT! I do need to mention that perhaps part of it was my hands off approach and maybe this program needs more of a hands-on approach. The fact that we have a lot going on in our lives right now … son’s surgery, hubby’s new job, settling the purchase of a house and all that goes with living in community just added to that mix. It is a program built with students with learning disabilities in mind, great for children with dsylexia and more. My son is used to being independent with his schoolwork and most programs, once I have him set up, he just flies with it, merely checking in with me weekly. I do know that he loves the bios. That was a good fit for him. For individual pricing, attend this link. 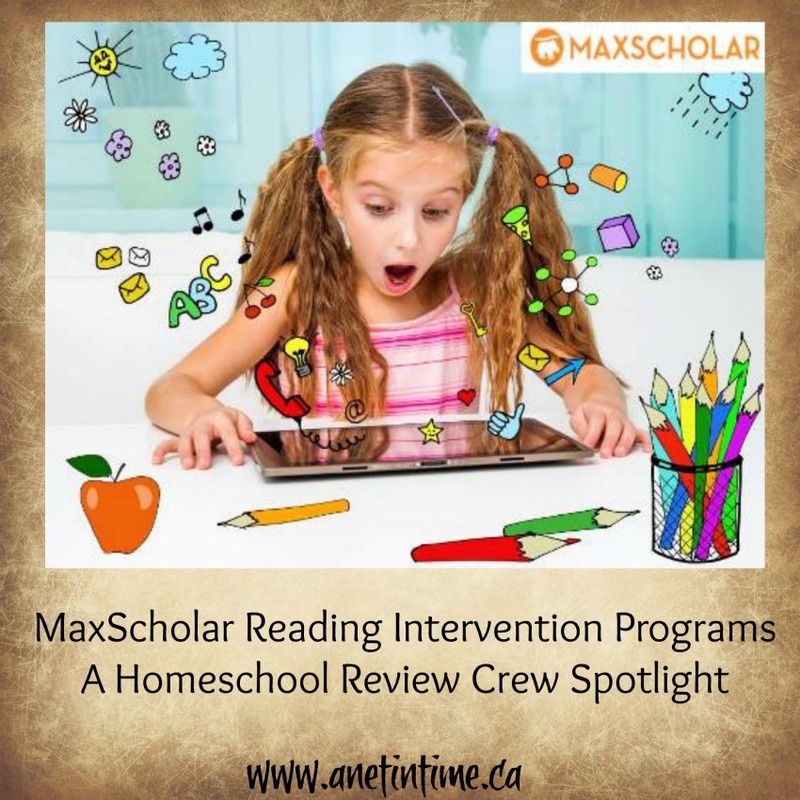 55 other members of the crew reviewed Reading Intervention Programs by MaxScholar. I urge you to check out their experiences. 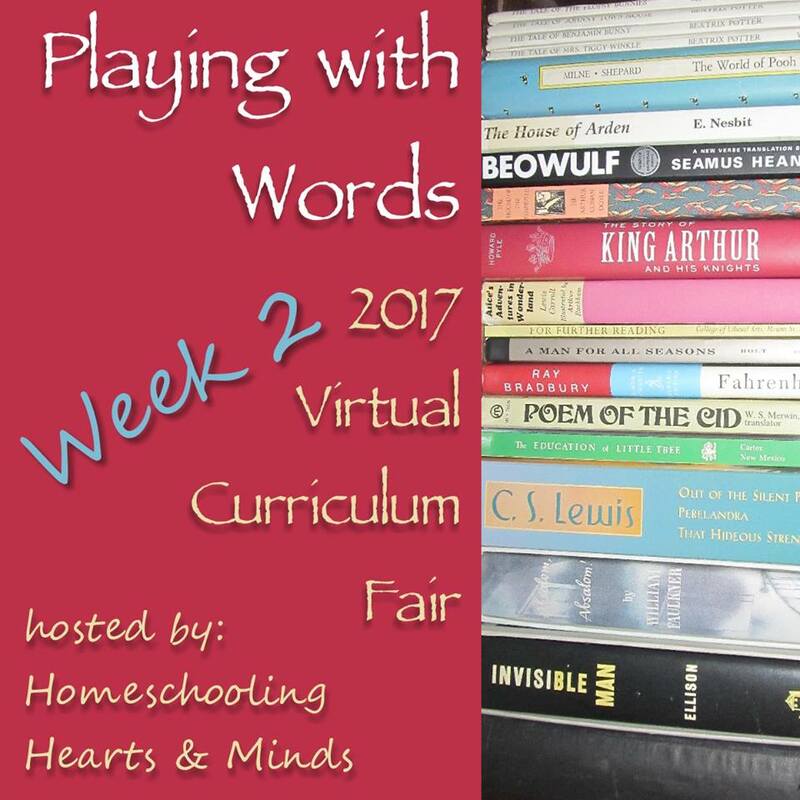 Welcome to the Virtual Curriculum Fair 2017 week two. 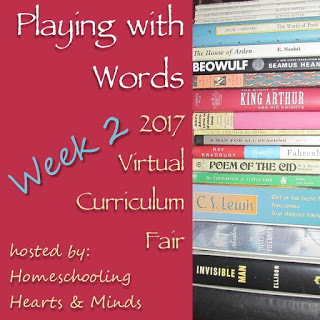 This week we talk all about language arts, how one plays around with words. Our host is the lovely Susan. You can learn more about the VFCF2017 right here. I have to admit, it took a while to figure out a system to study Language Arts in our home. Knowing that my boy (like his mother) tells stories as easily as breathing I thought, why not use that. So I grabbed this freebie book from the library discard pile and off we set. Then you develop your main character. This was harder than the lad anticipated. He thought he could just do yellow, pointed ears character. Then I asked : so how tall is he? Does he eat meat or vegetables? What makes him laugh? Does he ever cry? Does he have friends or is he a loner? Once he had the character nailed down a bit better he moved on to writing his story. Bit by bit he adds to it. And bit by bit he learns. Every day a 1/2 hour of work is required. Each time he gets a chapter done, we sit down and we edit it together. 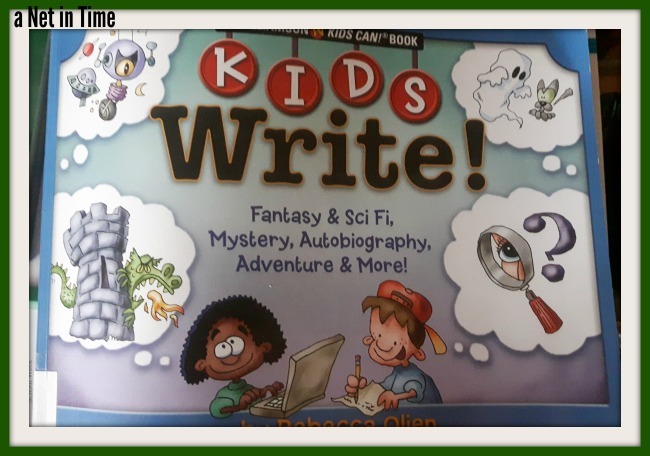 We make the changes right in his story, discussing spelling errors, word usage, sentence structure and all that fun stuff. And you know what? He’s learning. It’s not a battle. It’s a sitting down and talking and learning together. Sometimes I’ll read a sentence and not know what it wrong with it, so I’ll ask other folks and they’ll show me what’s wrong and then the lad and I both learn something new. Anyways, this book has a variety of stories one can write out, from adventures to mysteries. I admit that we are taking our time with it, and we did get side-tracked when I was ill so are rather behind, but a new week is dawning and a lad will learn and grow, and I’ll be there with him. All posts will be live by Monday, January 9th at noon EST. Are you working at helping your youngsters learn to read? Today I have a series of five books called “Alpha-Mania Adventures” that should prove to be an aid to you. emphasizes honoring the individual strengths and needs of each child. These books are actually rather cool. 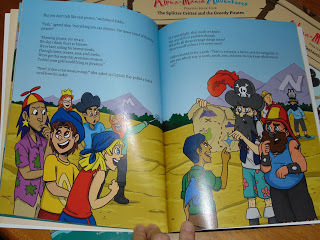 Children, playing pirates, happen to meet some real pirates. These pirates all talk in rhyme. 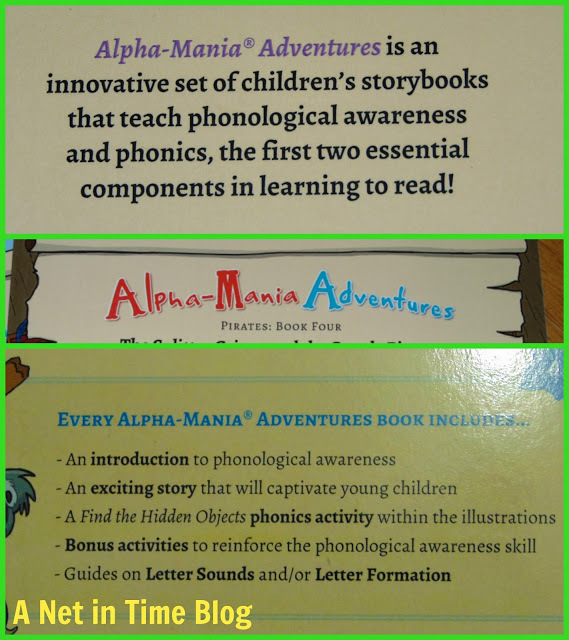 The goal of these books is to, in a fun engaging way, introduce children to phonics and phonological awareness. Brightly coloured pages tell the story. Which are interlaced with predominately white pages with activities for the learner to complete. Each book closes with a number of bonus activities. Some of these activities are: making salt-dough letters, making letters in sand, making up their own pirate rhymes, say it slow, say it fast games, making alliterations with food, and digging for treasure as well as many more. The alphabet is provided as well as answers for each activity are found in the back of the books. 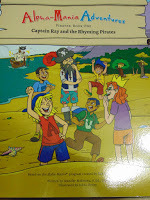 I would recommend getting the whole series as each book works are a particular set of phonics and phonemes. 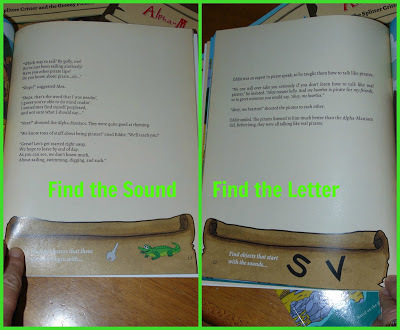 There are five books in the series, each book introducing children to new sounds and letters. Each book is about 40 pages long. I took care of the bunnies and we had breakfast and then our homeschooling day began. we started off with 50 magical stories. The story today is called the King of the Polar Bears. in response to the story the lad said “I liked it!” When asked why he liked it I got the response of “I liked it, mommy, I don’t know why I did, but I just liked it!”. 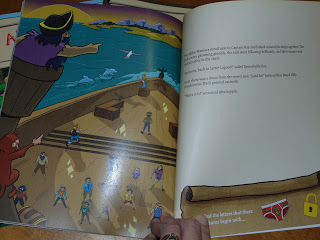 Then we read more about pirates in our world history book. Today we learned about the pirate base in Port Royal and how many pirates used the island of Madagascar as a base of operations. We learned abit about the cruelty of Henry Avery. We took a moment to learn a bit more about him. then onwards to reading about the red squirrel in the ultimate guide to wildlife of North America. The red squirrel this small squirrel is noisy and highly territorial. we’ve seen them at the Pinery and they are a very talkative squirrel. They are very quick. it’s been good so far going through this book. Today I could see the lad thinking…and that’s always a good thing. He did pages 10-12 in Pirates sticker book. yesterday I picked up a pirates megablocks set on sale at Giant Tiger and I promised the lad that once we got finished our pirates work today that we would play pirates for a while. The set we got is kinda a combination of these two sets…more like the second one than the first…but our characters look like real buccaneers and we have an alligator in our set. (great for playing peter pan!). 🙂 This gave the lad (after looking through the mega-blocks site) that some of our given to us lego was from the pirates sets of megabloks. So we played pirates. Always a good way to review the language the pirates used. Our plans for the day include working on our spider unit study, cleaning the living and dining rooms, and tidying up toys on the main floor of the house. We’ll probably fit in our normal reading as well. Today we learned about ground hogs (also known as woodchucks) in the Ultimate Guide to wildlife in North America. Learning what they are called woodchucks led to the question of what does it mean to chuck wood mommy? So I answered that and then he laughed at how they can climb trees to escape from their enemies. The lad is well acquainted with woodchucks since we camped last summer at a place with a whole lot of woodchucks and he had fun chasing them from burrow to burrow. 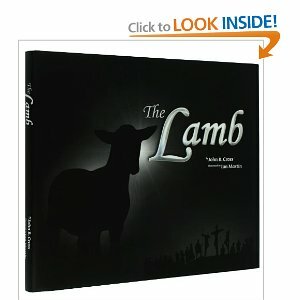 Then off to read from “the Lamb”. Today we did chapter Eight. Then we read from our world history book. We are learning about pirates. We read three pages today, more than usual, but it was just very very interesting. We learned about one guy who got his head cut off since he took two trips to find El Dorado and was unsuccessful and another guy who sailed around the world and about privateers. We did one page out of the Dress the pirates. The page we did fit in with the privateers. We did lesson three today. it was on how Jesus was both God and man completely and it’s difficult to understand but means that Jesus was everything we are but so very much more PLUS he never ever did anything bad. I need to post a pic of our blow up globe. I LOVE IT. It’s so immensely portable. 🙂 I love that I can spin it in my hands and there is no weight but air. It was also affordable. 🙂 But I digress. We used our globe when we talked about pirates today. One pirate sailed around the world collecting treasures. We were able to trace his steps and the lad’s best guess was that it would have taken him at least 100 hours if not maybe more to do all that travelling. He thought it interesting that pirates, if they worked for a king or queen were called privateers. We have started an new art project. I got this book out for the pictures, I thought they would spawn conversation, but as I looked through it I got to thinking …wow.. what an interesting book. I should be able to use this to work with the lad on imagining different things and just seeing how we can imagine different things perhaps even differently from the artist. It was a great activity for us. 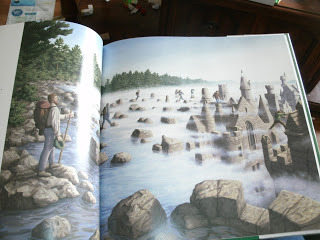 There are fourteen “imagine a place’s” in this book so we’ll be able to use it over the next three weeks as a regular activity to do. right where a story begins. 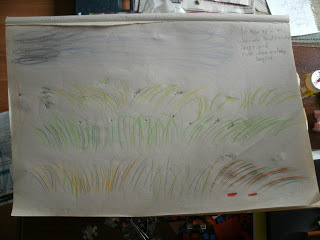 Mine was a long grass with insects leaping and landing. The grass is being blown by the wind so is bending and swaying, the sky is turning dark and still the grass bends and sways and is filled with colours…just waiting for children to come running through it pell mell on the way home before the rains come. This is the picture that we looked at after we finished our own drawings. We found this picture quite interesting…how the rocks and children leaping from stone to stone turned into a castle/town that people could peer down into. I neglected to add that we played two games today. Catopoly – math skills, following rules, being a good sport and such like. well..our day started off with the lad waking me up. We had breakfast, cared for the bunnies and the chicken. .. yes we have a chicken! It’s a hen that eats her eggs and she’s going to be lunch for us when I’m feeling up to making her lunch for us. But that might take a good week yet. My brain was VERY sluggish today so we didn’t do a whole lot for a fair bit. I had a treasure hunt at the lad’s instigation. Then we read some fascinating information out of this book called “tell me about the world”. just love this book. It’s starts off with a question… for instance “is it true that a cow has four stomachs”. So I give the lad a chance to tell me what he knows. I tell him what I think. And then we read a blub that tells us if we are right or not. We were both wrong on this one. One stomach, four sections. (go figure). We then read a story out of “50 magical stories”. 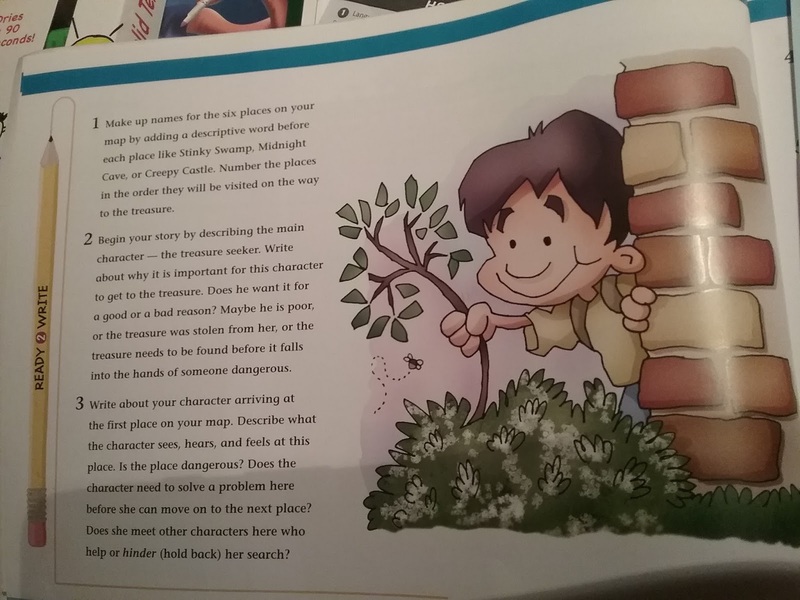 This book is made the same folks who did the 10 minute stories. Today’s story was about the crab that played with the sea. the boy said “i liked some of it but not all of it mommy”. He read a book over at Starfall. he had a lot of fun with the one book he read. We took a walk over at Morrison Dam. Just a short walk as I didn’t have the energy for a long one. We talked about beaver dams and moss. He did some of the exercise trail stuff with his dad. We took some moss home to grow under the tree in the backyard. Oh.. I almost forgot. We watched a video from Aurora on lights and such like. We did some experiments with making a microscope using two magnifying glasses. we used these to discover that Canadian money has stories/poems/etc written on them.. and carefully examined a $20 American bill as well. If we can find an American Penny we want to see if we can find the man in the building. Oh.. the lad is taking an interest in learning about the rabbits. This morning he wanted to know how I knew if a rabbit was ready to breed or not. So I showed him a rabbit ready to breed and one who wasn’t. I also talked with him about other signs that a rabbit uses. Being growly, digging in her food dish, and such like. he was quite interested. He also wanted to know how I knew if a boy bunny wanted to make babies… and so I said okay buddy.. watch and see what happens. “HE FELLED OFF HER MOMMY!” yes buddy, did he make a noise? “YES!” good.. he wants to be a daddy then. He’s been learning what to watch for in the baby bunnies.. for full tummies, activity when touched, and such like. So it’s good. Nice to see him learning and asking questions. The weather’s been so nice so we’ve been taking time outside to play and be archaelogists and alien hunters. He has infinitely more energy than his mommy but we’re working at it. 🙂 In time health will be better! we may end up making bunny bait for Easter/Hope days.